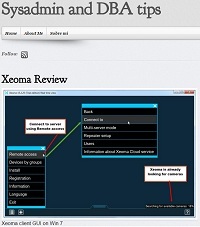 This section shows publications about Xeoma in various media. If you would like to write about Xeoma as well, please contact us. 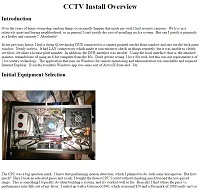 A few years ago I took it upon myself to install and configure a video surveillance system. Not because I live in a bad neighborhood, but for a sense of security and it made for a low cost project that I could use for years to come.My goal was to have a system I could view and record anytime of the day or night from anywhere with security in mind. The Surveil DVR-a perfect marriage between the Xeoma surveillance software and the Raspberry Pi 3.The idea to build a small DVR using a Raspberry Pi 3 and the Xeoma software was born when a client of mine, a small shop in the village where I live asked me about an inexpensive CCTV system that also could work as an alarm system during closed hours and could be affordable for his little shop. Xeoma can easily work with China cameras and our customers show it. Our customer share with you one cheap solution for video surveillance system which you can apply to Linux ARMv7 boards such as the Orange Pi SBCs. The S Solutions SRN Enterprise Video Surveillance Storage (VSS) Series is a comprehensive feature- dense with complete video surveillance solution and unlimited flexibility owing to its innovative construction-set principle. 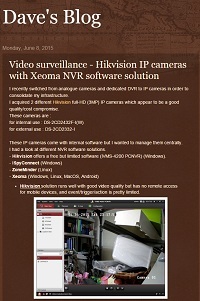 Xeoma surveillance is a state of the art, full featured security system developed by Felenasoft. 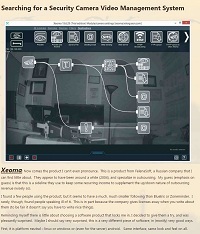 Xeoma – Is it the intelligent video surveillance system for me? I’ve been using a couple of Xiaomi IP camera’s (Ants camera’s) for over a year now to monitor my house. Although the cams have an option to record to SD it is more convenient to save all streams in a central place. For central storing of camera streams I looked for some sort of CCTV software solution. Have you considered installing your own camera system for home or office? This is where FelenaSoft’s Xeoma video surveillance software comes into play. 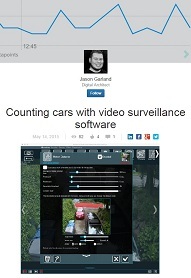 This is the story of a two week search for video software for a home security setup. This entailed a lot of reading, but also a lot of hunting for just the right software. 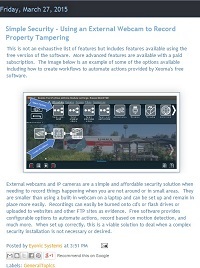 Xeoma makes it easy to manage your camera and if you have Hikvision IP cameras, it is the only one that displays/records correctly the streams (in addition to Hikvision own software). 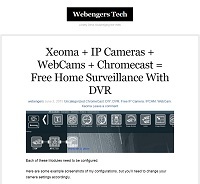 Connect Xeoma to your DVR and enjoy your free home surveillance. With Xeoma you can protect your house and prevent stealing bank mails from the mailbox. 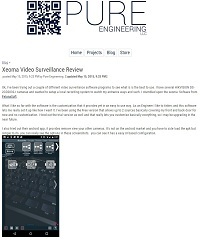 On Pure Engineering portal you can find Xeoma review article. 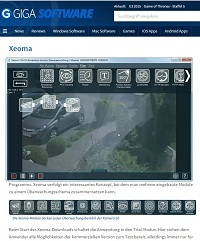 With the help of a Motion Detector and your own script you can count cars in Xeoma! 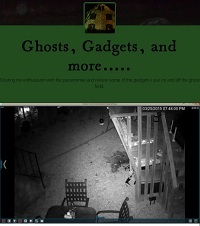 Ghost hunters often use different electronic equipment, such as the EMF meter, digital thermometer, static video cameras and computers with Xeoma. Xeoma Video Surveillance Software and a custom Kodi Entertainment Center Plugin is a perfect solution when you want to know who was at the door. HTPC Beginner portal provides a detailed instruction. EYONIC Systems is a blog created to explore technology ideas around protecting the confidentiality, integrity, and availability of data, where you can find Xeoma review. 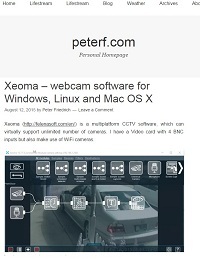 How to connect webcams to Xeoma, read in our article in German. How to use Xeoma, read in our article in Dutch. How to organise video surveillance for home or big companies with Xeoma read in our new article from our customer in Italian.